When the warmer weather comes around, many people celebrate by spending more time outdoors. This may be on a hiking trail in the woods, but grilling on the deck is just as common. If you don’t already have one, you may be thinking of adding a deck. Before you hire a contractor, here are a few things you should keep in mind. Some homeowners prefer a balcony-type deck leading out from the second floor, while others prefer one at ground level. The option you choose will depend on the build of your home. For example, for a home built on a slope, ground level at the front-end may equal second-floor level on the back-end, allowing an elevated deck that still leads out directly from the kitchen. What side of the compass will your deck face? If your deck faces south, you can count on a lot of sun. This is great during the colder months but will prompt the need for shade during the spring and winter. If you choose a north-facing deck, you won’t get as much sun but will likely get a lot of wind. Do you entertain big parties or small gatherings? Your answer will help you to determine the best size when adding a deck. Decks built on ground level can always be extended later on. However, decks built in the air would require a lot more work to adjust. 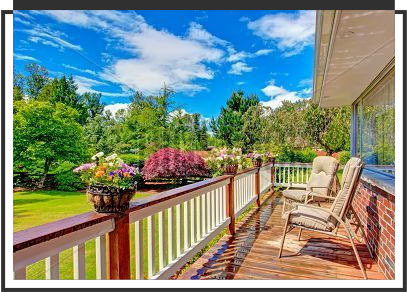 Ensuring privacy for your deck may require work that has nothing to do with the deck at all. For example, landscaping work may provide privacy in the form of trees or bushes. Latticework may also provide privacy, but you may lose the view in the process. 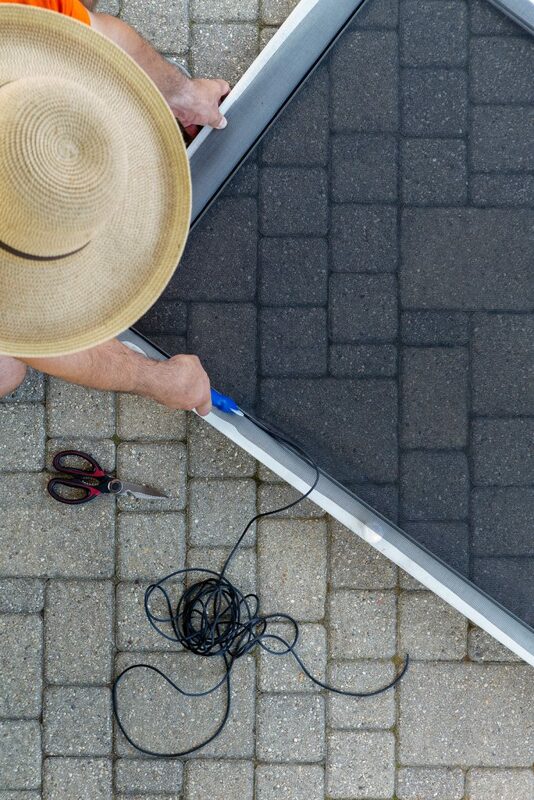 When you are ready to hire a contractor for adding a deck, be sure to share all of these considerations with the ones you have in mind. Try to get bids from at least three companies and remember to check customer reviews. Although many people enjoy DIY household tasks, if you are ready to install new windows, you should always enlist professional help. Incorrect window installation can lead to a variety of issues including water damage and bug infestations. Do not take chances when it comes to your windows. Finding a certified and experienced installer is easier and more affordable than you might think. One of the first things to check for before hiring a window installation company is their licensing and insurance. The company should have the necessary licensures and permits required in your area. Not only does proper licensing guarantee that the process legal, but it also helps confirm that you are hiring a legitimate business. Any good window company should also carry insurance to protect you in the case of accidents or damage. You do not want to end up paying for faulty installation or damaged materials. Many reliable companies will have a good reputation that precedes them. If you know anyone who recently had their windows installed, inspected or replaced, try asking around for recommendations. In the 21st Century, it is also important to remember that the internet may be one of the most helpful resources. You can likely find a great window installation business just by browsing websites and reading reviews from others in your area. With any home improvement service, it is wise to get as many quotes as possible. This allows you to determine if you are getting the best value for your money. Of course, there are more aspects to consider than price alone. You want to ensure that you are selecting an installer you trust to get the job done right. Ideally, the company will be both dependable and reasonably priced. Last but not least, you will need to find a business with the flexibility to work around your schedule. 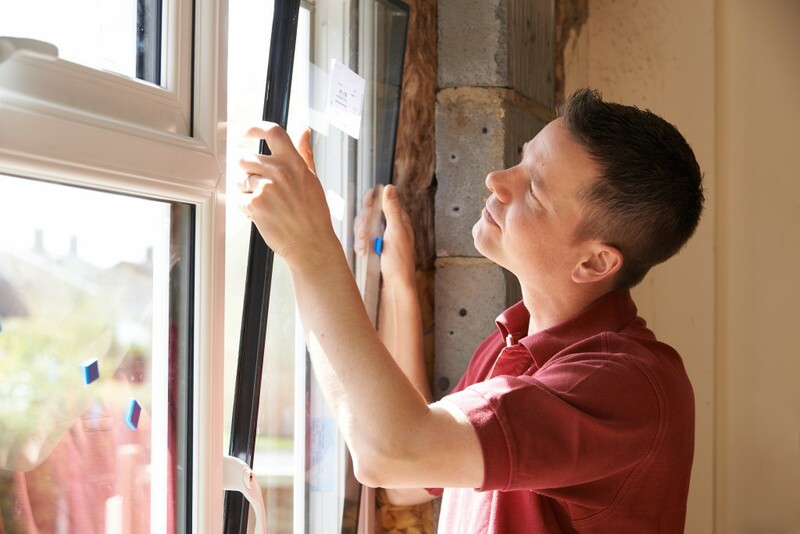 Most people understandably prefer to be at home while workers are coming and going, so do not forget to check the availability of your window installation experts and make sure they can coordinate with your own timetable. If you’re looking for a front door replacement, you may also want to consider getting a storm door. Either fully or partially made of glass, storm doors have a lot to offer your home in both functionality and beauty. If you live in a cold climate or simply want a way to ventilate without letting in bugs, a storm door could be the right solution. 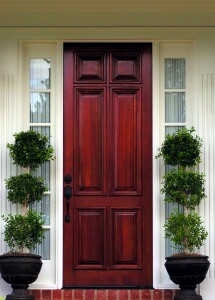 Because they’re made of glass, storm doors let in more light than a regular wood or metal door. You have the option to leave your front door open, but the storm door locked, preserving security while brightening up your home. If you have children who like to play in the yard, a storm door is a great way to keep an eye on them without sacrificing your house’s heating or cooling. You can stay inside, comfortably supervising. Doors and windows are weak points where heating can escape your house, driving up your energy costs. This is why insulation is a key factor when looking for a front door replacement. A storm door is another barrier between weather and your home, ensuring that whatever front door strikes your fancy, you don’t have to sacrifice comfort for style. Though made of glass, storm doors are made to be tough. 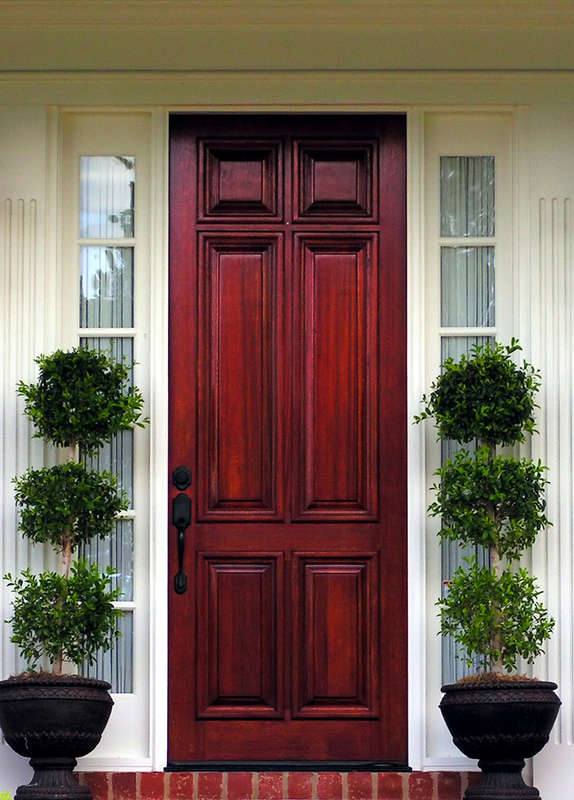 They serve an important role in cold climates: protecting your front door from the elements. When you spend so much time and money finding the perfect door to complement your house, you want to know it won’t be chipped, soaked or dented by unruly weather. You can also get glass with patterns for that special little touch. Don’t let your front door replacement go alone – protect it in style with a storm door. A trained professional can help you pick out the perfect fit and install your choice. You’ve decided to install new windows on your home. 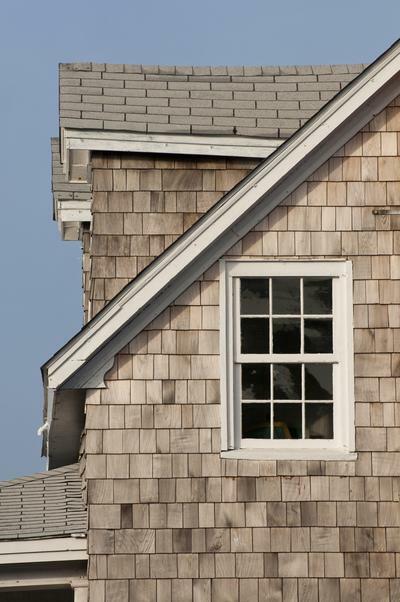 You’re not alone, window upgrades are the most common home remodeling project. However, when changing out your windows there are a lot of decisions to make. Use this checklist to get started on your window remodel project. Depending on the direction your window faces, you might have different needs. If your window faces the sun for example, you will want a window with a higher tint so that your room doesn’t get excessively warm or have too much glare. A window that doesn’t get as much sun will not need the same tint. Identify your specific needs based on the direction. It goes without saying, before you start any project, set a budget for yourself to narrow down your options and alleviate stress. The materials used for your window remodel can add or lower cost. Determine whether you want vinyl, wood or another material, see how it works within your budget and adjust accordingly. There are many window styles available and each has its own unique appeal and benefits. For airflow go for double hung, to maximize your view install a picture window. Every brand of window has pros and cons. Research different brands for cost, durability, style and lifespan before making your final decision. When starting your remodel, ask yourself whether you’re changing the windows to make them more aesthetically pleasing or if you know they are old or broken and need to be replaced. 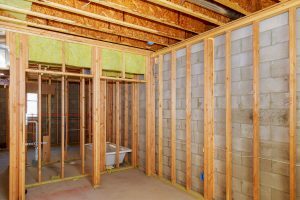 This can determine whether or not you need building permits of have to pay extra fees. Last, think about mounting options. In this case it is always best to consult a professional to minimize the risk of error. No one wants an air leak! Once you’ve made decisions about all these factors, you’re ready to start the hunt for the perfect windows. 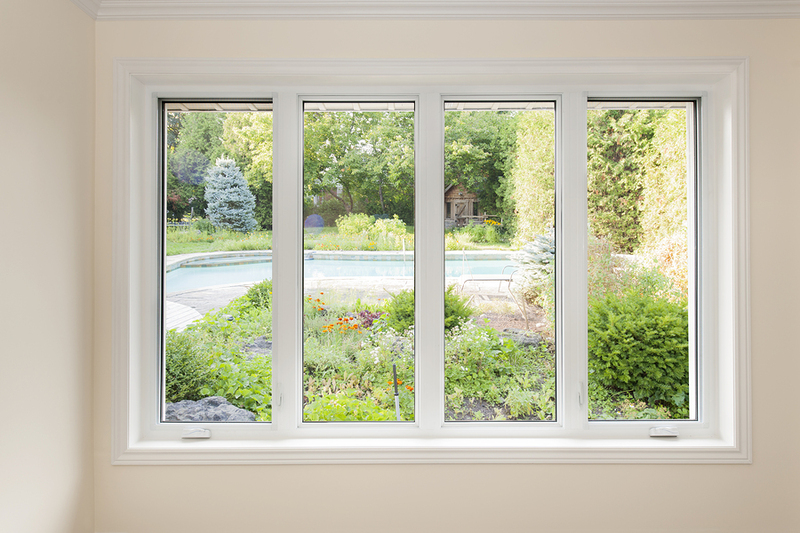 Contact your local window installation specialist for guidance on the right windows for you and to get professional help with the installation process. If your house is in need of new siding, but you’re on a budget, vinyl may be the perfect choice. 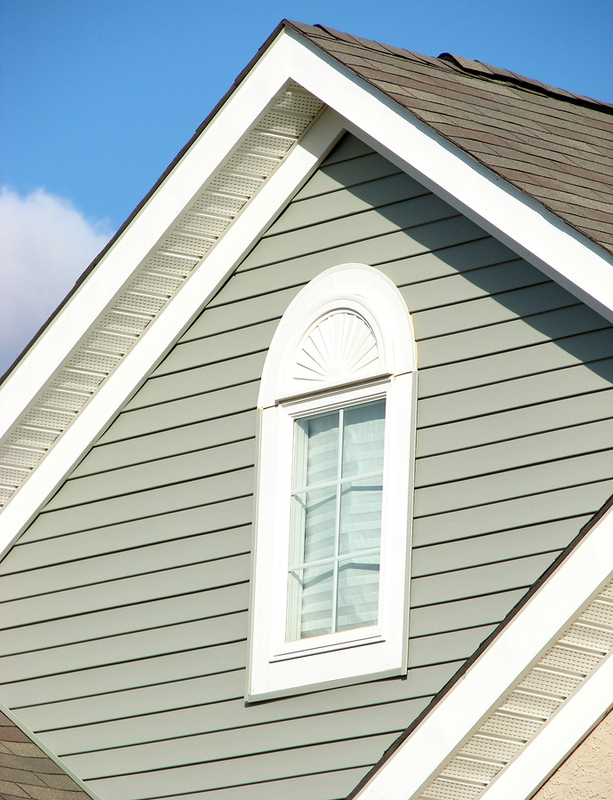 Vinyl siding can save you money on a number of fronts, making it an investment well worth your while. Vinyl doesn’t require laborious upkeep or repainting. A good dousing with a pressure washer once a year can keep it clean. It’s incredibly durable, even when subjected to harsh weather like snow or hail. In the event of damage, replacement is easy and relatively cheap. Even if your home has good insultation, it may still be losing heat through wall studs. If you struggle with heating costs, you can opt for insulated vinyl siding. This option has foam adhered to the back, which fits snuggly against your house’s exterior for an added layer of protection. Keeping hot air in not only adds to your comfort, but can mean less money spent keeping your home cozy. Vinyl is cheaper than wood and aluminum siding, making it a great choice for anyone on a budget. Not only is the material itself less expensive, but the labor costs associated with installation tend to be lower, since there’s no painting involved. One of the best things about vinyl is its resistance to moisture. Unlike wood, which may rot, vinyl can withstand wet weather without being compromised. This contributes to its extremely long life, which regularly exceeds 60 years. That’s a lot of cash saved on replacements. Even though you’re spending less, you don’t have to miss out on a beautiful home. Vinyl comes in a huge range of colors and textures to create your dream exterior. An industry expert can review different brands and inform you about warranties, then install your perfect match. With so many benefits, it’s no wonder vinyl siding is a popular choice for homeowners on a budget. You can save yourself both money and energy by choosing vinyl. Windows can be an important feature in the home as well as a significant investment. If you’re contemplating window replacement, you may find it worth your while to research the different types of materials and styles according to your specific budget and needs. Here are just a few of the reasons to consider fiberglass windows. Fiberglass windows don’t warp like some other materials, meaning they’ll probably last longer than vinyl or wood windows. They’re also not susceptible to changes in weather, and are less likely to be damaged in extreme climates. Wood may look nice and vinyl may be more affordable, but fiberglass is more likely to last longer than both of them. Fiberglass has an insulation feature due to the unique manufacturing process. Because it doesn’t warp, expand, or shrink, you’re less likely to need to reseal it over time like wood or vinyl windows. This quality can help your window replacement keep heat inside during the winter and cool air inside during the summer without constant upkeep. Fiberglass can be repaired fairly easily in comparison to vinyl and wood, and if you want to switch up your style or freshen up your home, they can also be painted. Wood can be ruined by too much paint and can eventually rot. Vinyl is flexible and once damaged may not be repairable. The added insulation of fiberglass helps you to save on your energy costs throughout, and the durability means you can likely go longer between replacements. While there are many materials and styles of windows to consider for window replacement, price and durability are often big concerns. Vinyl may be cheaper, but wood and fiberglass can be about the same price, so all the added benefits stand out even stronger. If you’re looking for a high quality window that looks nice, saves on energy costs, and can be easily maintained, fiberglass windows should be first on your list. When searching for windows and door replacement, there are countless options available. While this may seem overwhelming, the variety is there to ensure that each house gets the benefits they require. This is why it’s important for you to figure out exactly what you need from the windows and doors you’re replacing before you go shopping. The first thing to ask yourself is why you’re replacing them. There are numerous reasons, so many windows and doors are specifically designed for those needs. If you simply have to replace a damaged or worn-out window, then perhaps there are benefits that are not the main concern but can help narrow down your search.